What do you get when you bring together six different It brands all in one place? Forward by Elyse Walker’s new High Summer capsule collection, of course! 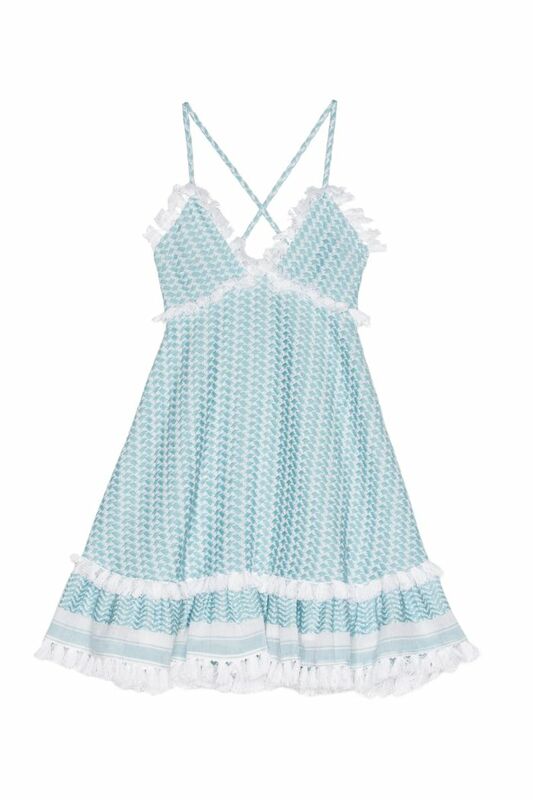 The site has tapped Dodo Bar Or, Marysia Swimwear, Janessa Leone, Maslin & Co., Truss, and Barton Perreira for an exclusive line of summer-ready pieces. Scroll down to shop our favorite pieces from Fwrd’s new summer capsule collection! This new brand is a favorite of fashion bloggers, so you’d be wise to scoop up this dress before it sells out. How cute are the scalloped edges on this bikini top? Go retro in the matching high-waisted bottoms. This perfect one-piece is as flattering as it is adorable. From the pretty print to the cool tassel details, this cover-up will make your vacation extra stylish. Which piece is your favorite? Tell us in the comments below, and then shop the full capsule collection at Fwrd!